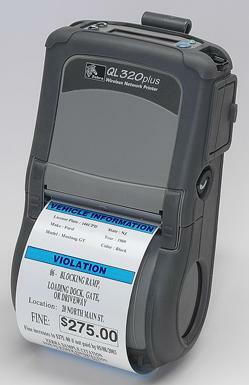 QL Plus Series is specially designed for complex mobile printing applications. It’s built to handle increased levels of wireless security and to process complex labels up to four times faster, making it ideal for the secure transfer of sensitive data such as price lists, customer information, and medical records. The QL Plus Series is ideal for many applications, including price marking, shelf labeling, inter-store transfers, direct store vendor delivery and verification, and for mobile point of sale at boutique stores where space is at a premium. QL 220 DT 1.89" .63" - 2.18" 203 3 IPS 2.2" .75" or 1.38"
QL 320 DT 2.9" 1.25" - 3.12" 203 4 IPS 2.6" .75" or 1.38"
QL 420 DT 4.09" 2.0" - 4.12" 203 3 IPS 2.6" .75" or 1.38"